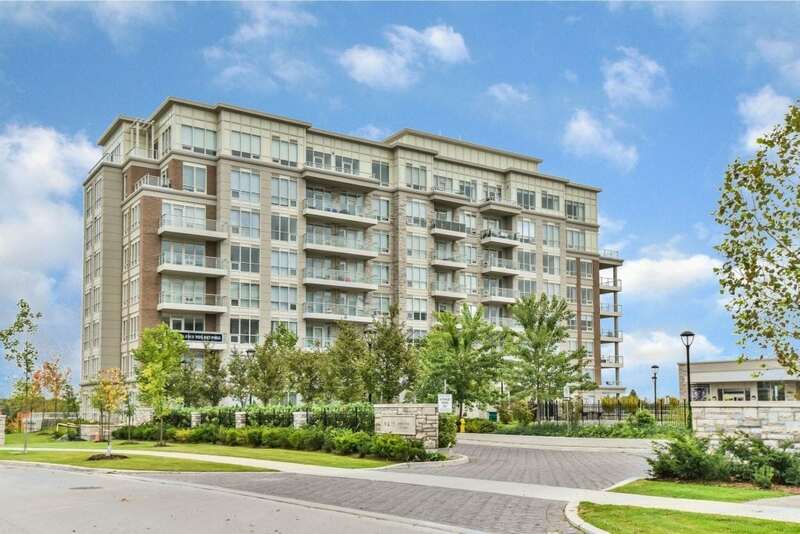 #908-15 Stollery Pond Crescent, Markham – Open Concept Resort Style Condo! Fabulous Penthouse – Looks Like A Model Suite. Great Angus Glen Location – Alongside Multi-Million $ Homes. Large Terrace With An Amazing View Of The Golf Course! Approx. 1,408 Sq.Ft. Of Luxury. Features Include: Chef Gourmet Kitchen With Large Island Over Looking Living Room & Dining Room. 10 Ft. Coffered Ceilings, 7″ Hardwood Flooring. Fantastic Master Suite With Huge Custom Walk In Closet & 5-Piece Ensuite With Heated Floors.